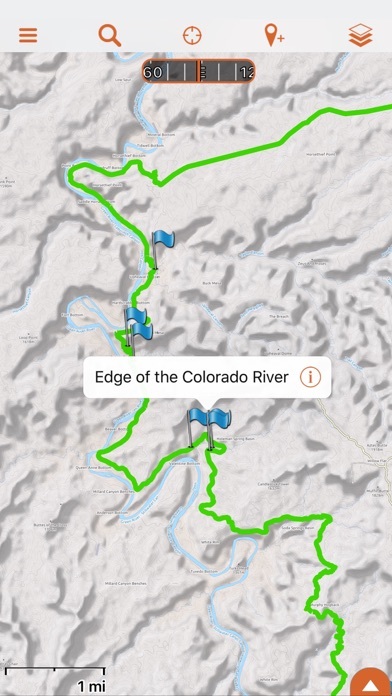 Plan, navigate and share your next 4x4 or overland adventure through the United States and Canada with the Hema Explorer overland navigation app for North America: •	Track your GPS position in real-time on offline maps •	Use trusted topographic mapping to explore North America backcountry: USGS Topo, Thunderforest Outdoors and Canada Topo •	Use additional street and touring maps for navigating populated areas: Hema USA Road Map, HERE Street and Canada Street mapping •	Generate an offline route to an address or waypoint using Quick Routing •	Save a log of your trip with track recordings, geotagged photos, waypoints and trip notes •	Backup all your trip data to your free Hema Explorer Cloud account which you can share with the Hema Explorer community •	Share your trips online with friends and family PLAN Generate a route line to an address or waypoint using Quick Routing, manually create point-to-point routes, or mark important locations using waypoints to plan your journey in full. You can even organise your data for each specific trip by saving it to an individual folder, allowing you to keep all your downloaded maps, waypoints and routes in one place. 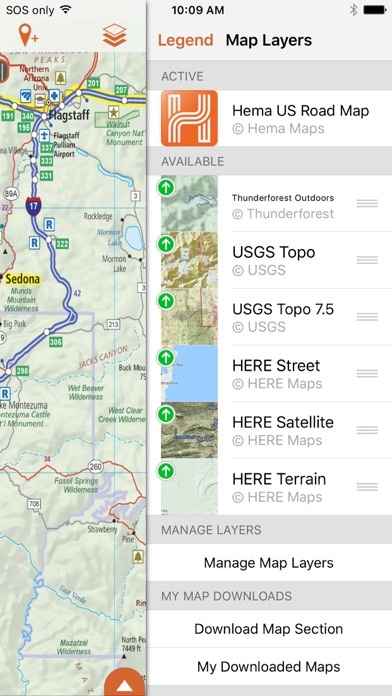 NAVIGATE By delivering offline mapping to your mobile device, Hema Explorer makes it easy to navigate 4x4 and overland adventures throughout North America. Download the maps you need offline before you go, then track your position as you travel and save a log of your journey to find your way home. 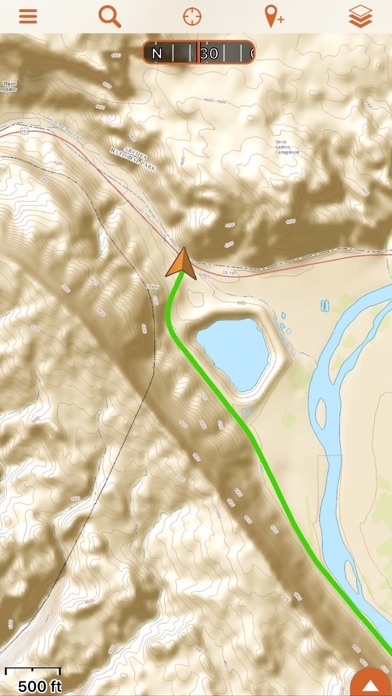 With Hema Explorer, you get full access to detailed USGS Topographic and USGS 7.5 mapping, the Hema USA Road Map, Thunderforest Outdoors, Canada Topo and Canada Street, in addition to HERE Street, Terrain and Aerial imagery mapping for North America. SHARE Hema Explorer lets you record your journey with track logs, geotagged photos, waypoints and trip notes, which you can automatically backup to your free Hema Explorer Cloud account. You can then post your trips to the Hema Explorer Cloud trip gallery, where you can share your adventures with the Hema Explorer community, browse and comment on other people’s trails, or post your trip directly to Facebook and Twitter. Note: Continued use of GPS running in the background can dramatically decrease battery life. I first got to know Hema through their booth at the Overland Expo 2016. 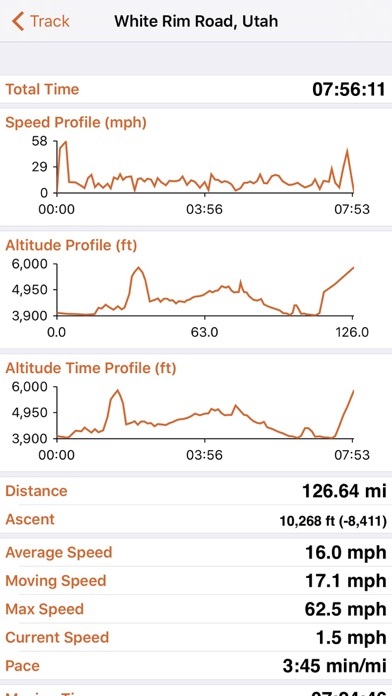 I download the free app and than download the pro since I plan a trip to Moab,UT that year. Putting up the Trail was easy but if you change anything during the actual trail and you not in mobile reception the app won’t let you plan or do anything?! Even if you download the area map! This is so wrong and not worse it, regardless the app keep crashing at real time when you need it. I’ve try to contact the webmaster and email my issues to the developer and got absolutely nothing in return. They never contact which mean they have no solution to such problem. SAVE YOUR MONEY and start away from this app! Needs a update ASAP !! Had high expectations from the app after watching Expedition Overland. I have the same issues like some of the other users. I will really like this app to shine in the overland community. The format is relatively easy and user friendly. The performance is pretty lackluster. Lots of flickering in offline mode, and difficulty zooming in as well. Certain maps seem to also have trouble loading at all, even with a great connection. I hope this will improve in the future. Update 12/5/17 The basic functions of the app, like a usable back button aren’t even working now. I had really high hopes for this program, but it’s just a waste of money. This is essentially a dead app on iOS 11. Super buggy clone of the old Gaia app. Quite disappointed with this app; don’t waste $20. For the price of this app you can have a 2 year subscription to Gaia GPS which is substantially better than the current Hema offering. This app has many software bugs, the offline functionality is lacking, and the route creation feature leaves much to be desired. Do yourself a favor and give Gaia a try for free for 7 days. This was an interesting 1.0 app, but it’s been more than a year and interface problems have gotten worse, not better. Text buttons overwrite each other, making it impossible to click either of them and you have to force quit the program. I seem to recall paying $20 for Hema Explorer and it’s this poorly supported? Avoid. Unsupported, sad clone of a better app. I gave in to the Hema hype after hearing about it on various overlanding sites, and seeing it used in a few series. Unfortunately, the app as delivered is essentially a clone of Gaia GPS, but a clone of what Gaia was a few months prior. Gaia has progressed, seen substantial updates, and new content added on the regular. The Hema app however, is stagnant, buggy, and a bit of a waste of good potential. It's still somewhat usable, so I can't give it just one star, but it's not something I could recommend, when there's much better options available for the same (or similar) price. I used Hema Explorer to plan and drive a trip from Virginia through Colorado to Utah. I found tracks for the main off road areas we wanted to drive and loaded them on both my iPhone and iPad. The tracks made off roading in unfamiliar areas very easy. On the interstate I liked using the Hema base map to locate rest areas and other locations. The Thunderforest maps are okay but not always detailed enough or accurate but still very helpful. After I recorded over 3000 miles in a track to document the entire trip, the older iPad became unresponsive until I stopped recording and started a new track. I suspect future versions will get better and better. In 2017, I am trying to plan a second trip. I found tracks on Hema Cloud and added them to my account. Sync on my iPhone nor iPad will work. Sometimes, the app will not even open. I do not trust this app for any remote navigation since it is unreliable recently. 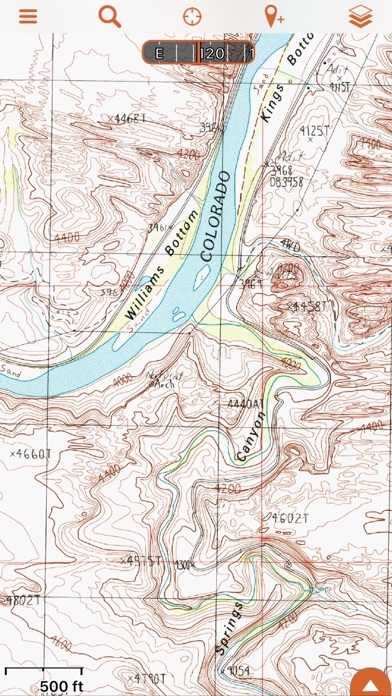 I will take another app as a backup and paper maps. The app frequently crashes. I used Facebook sign in which may be part of the problem.